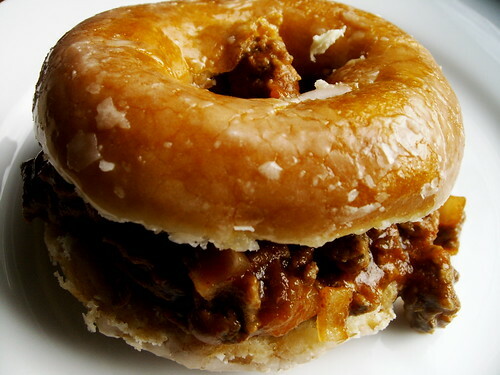 Crazy recipes with Krispy Kreme Doughnuts. Paula Deen’s Krispy Kreme Bread Pudding uses all 24 doughnuts! Krispy Kreme Doughnut Cake. This recipe involves doughnut holes, but improvise by slicing your donuts into blocks. 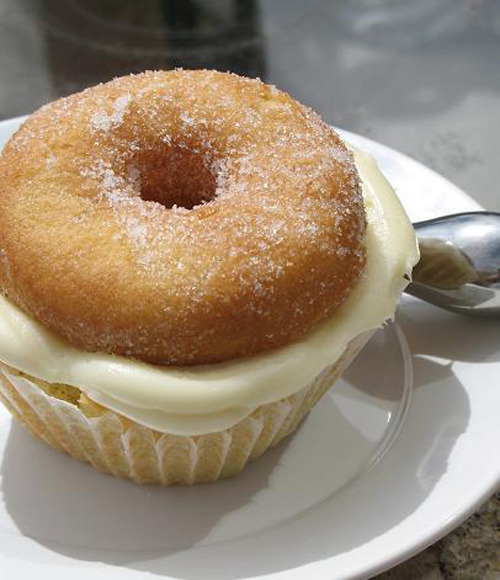 Krispy Kreme Doughnut Cupcake. 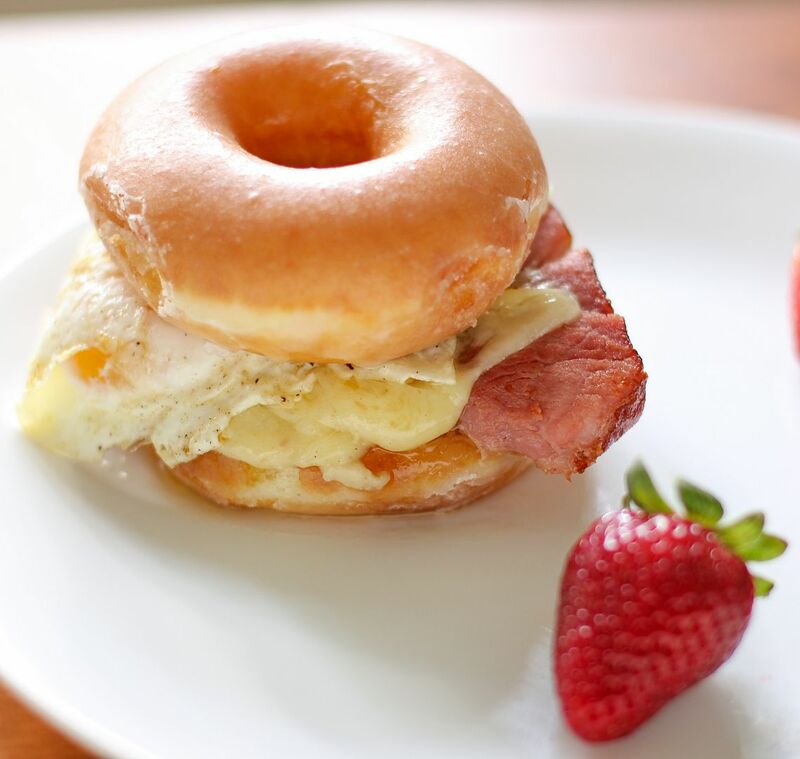 Basically, just top your cupcake with your doughnut. It’s so simple, but brilliant! 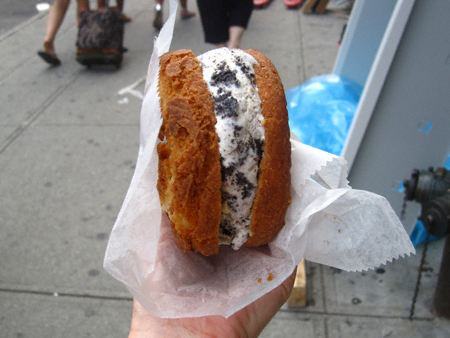 Doughnut Ice Cream Sandwich. This is pretty genius. 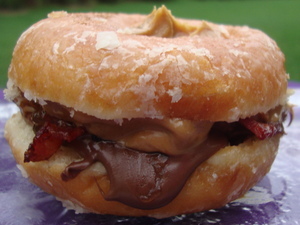 Slice your doughnut in half and pick any ice cream of your liking. 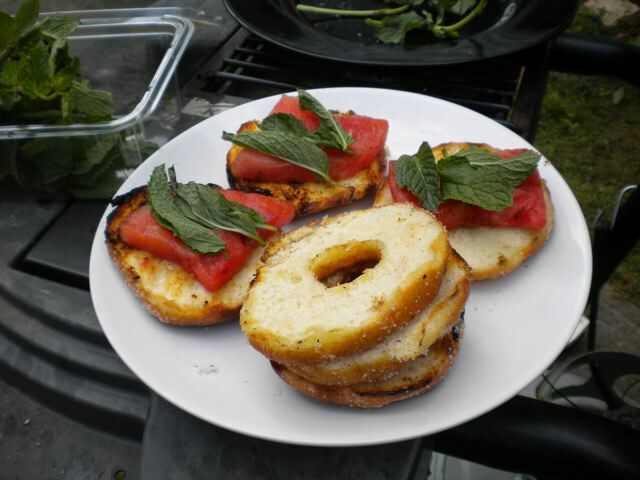 Grilled Doughnut Watermelon Sandwiches. For some reason, I think this is the most bizarre thing on the list. 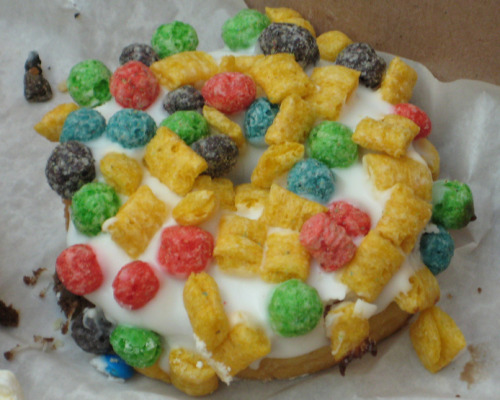 Fruit on your doughnut!? That’s bonkers! Looks refreshing though. Krispy Kreme with your choice of toppings! Cereal, fudge, bacon bits, jam, whatever! Play mad scientist! 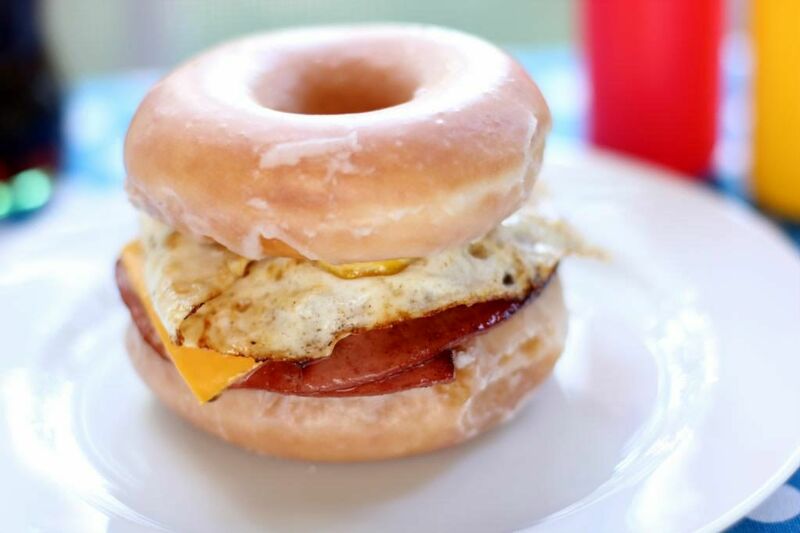 What I find missing here is a Krispy Kreme Sandwich with fried spam. I don’t know why the internet hasn’t exploded with this concept yet. 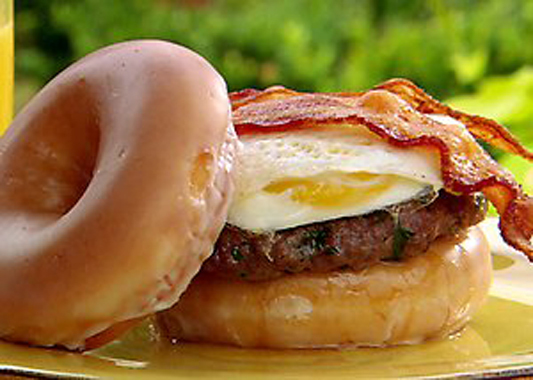 What are some of your crazy krispy kreme creations?